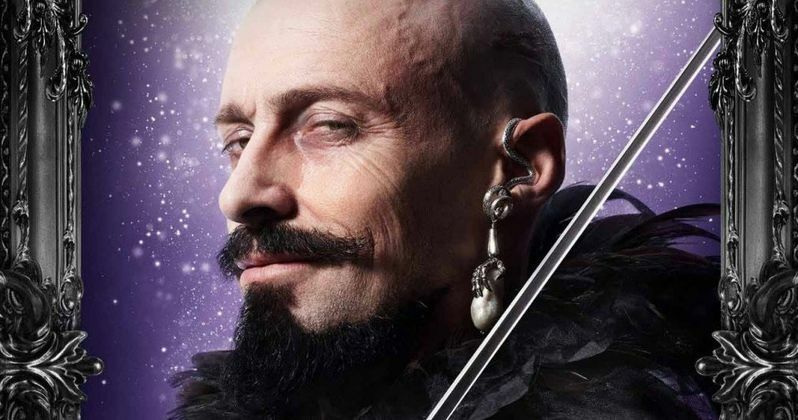 Following the first photos from Pan that debuted earlier today, we have four new character posters, featuring Hugh Jackman as Blackbeard, Rooney Mara as Lilly, Garrett Hedlund as Hook and Levi Miller as Peter Pan. Director Joe Wright revealed earlier today that fans will get a much different Neverland than in J.M. Barrie's classic Peter Pan story. When Peter Pan becomes spirited away to the magical realm of Neverland, he encounters the nefarious Blackbeard (Hugh Jackman), whose crew has been capturing orphaned children. Garrett Hedlund plays the infamous Hook, Blackbeard's young right hand man, before he loses his hand and becomes a true captain, while Rooney Mara is playing Tiger Lily..
With the new photos and poster debuting today, it should be just a matter of time before the trailer for Pan arrives. Take a look at these one-sheets and stay tuned for the first footage.